Note: This unit is no longer in production. 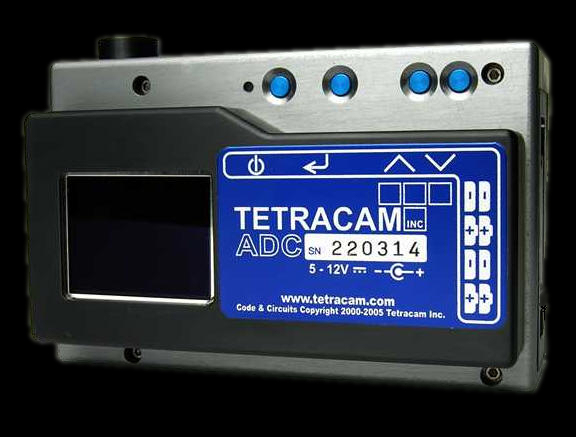 Tetracam's Agricultural Digital Camera (ADC) sets the standard for multi-spectral imaging of crop canopies and vegetation. 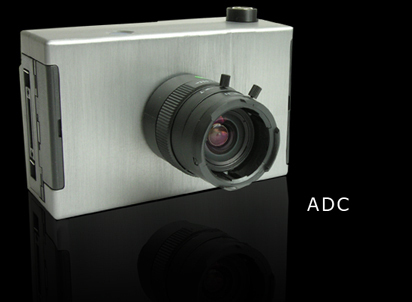 The ADC boasts a conventional digital camera's feel while delivering unparalleled multi-spectral imaging capabilities. The ADC contains a single precision 3.2 megapixel image sensor (storing 2048 x 1536 pixels) optimized for capturing visible light wavelengths longer than 520nm and near-infrared wavelengths up to 920nm. The image sensor is divided into a mosaic of tiny optical filters. 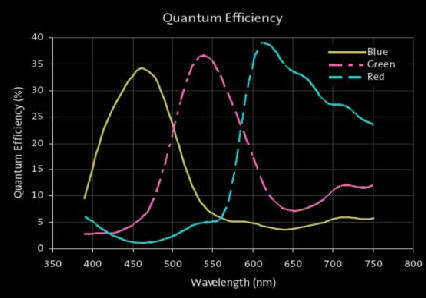 Each filter allows a separate red, green or NIR band of wavelengths to pass while blocking others. These are equivalent to TM2, TM3 and TM4 Landsat bands. 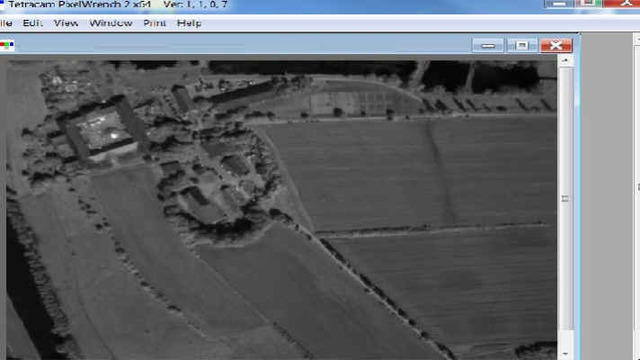 PixelWrench2, the image processing software included with the camera, enables extraction of standard vegetation indices (such as NDVI, SAVI, canopy segmentation and NIR/Green ratios) from the captured images. Competing with images available from satellites, the ADC offers lower-cost image capture, freedom from cloud cover and the ability to readily obtain re-occurring images for timely comparisons. Refer to our Multispectral Crop and Application Database or Selected Readings for descriptions of example applications. The ADC is GPS compatible and ideal for ground-based or airborne operations. The unit's liquid crystal display provides the user with the ability to observe the live image, menus for handheld use, and color palletized vegetation indexed images. The same images available on the LCD may be sent to a remote receiver. The ADC's field of view (FOV) is laid out in a 4:3 format. When carried in a manned or unmanned aircraft, the field of view increases as the above ground level (AGL) altitude increases. As the AGL increases, the camera's ability to resolve individual details on the ground decreases. With its standard 8.0 mm lens, when flown at altitude of 400 feet above ground level, this camera creates an image large enough to capture 1.85 acres at a resolution of less than two inches per pixel in a single shot! User control of the ADC is accomplished through a hierarchical system of menus such as the one shown at left. These are accessible via the liquid crystal display and buttons on the back of the unit or through the system software (PixelWrench2) running on a Windows computer connected to the camera via its USB interface. The system menus present users with a series of configuration choices. Scrolling through and selecting these configures the camera. The button on top of the ADC acts as a shutter release. When this button is pressed down, the system captures an image. The shutter button contains a circular Hirose connector (shown at left). 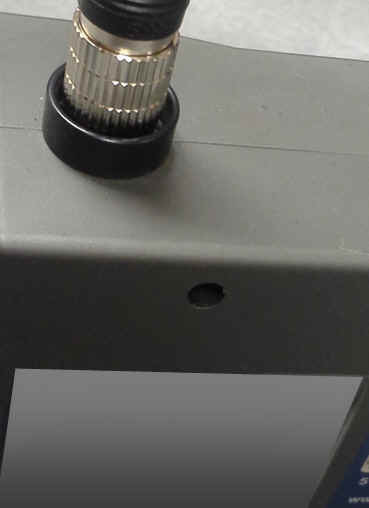 This connector enables the camera to be connected to an accessory ADC/MCA Test Control box (pictured below) or to un-terminated wires that users may connect to other external devices. ADC/MCA Controller Box Accessory -The optional ADC/MCA Controller Box (shown at left) contains buttons that enable the user to manually scroll up and down through system menus, pick a selection or take a picture. The box also contains an RS232 connector and a Video Out connector. These may be linked to the camera through the circular Hirose Multi-I/O Connector atop the shutter. Information on the ADC's Multi-IO Hirose circular connector and the cables that may be connected to it are shown on our web site here. The ADC obtains its power from a 12 VDC external power supply provided with the unit. This plugs into the 12V power input on the side of the chassis. The system is also able to be powered by means of eight AA alkaline batteries inserted into the opposite side of the chassis. The camera contains a Video Out connector that may be used to feed the same images available on the LCD to a remote receiver via a wire or telemetry. 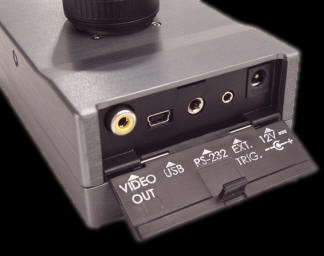 To the right of the Video Out connector, the USB connector provides a link to host computers. PixelWrench2 can process images accessed via this link or the CF card containing the images may be pulled from the camera and inserted to the computer containing PW2. The camera contains an RS232 link that may be connected to a GPS receiver for capturing the precise GPS coordinates at the exact instant that an image is captured. Lastly, the camera contains a external Trigger connector. An External Trigger Cable (un-terminated on one end) is available with the system for remotely triggering the camera to capture images. Closing the connection between the RING and the TIP on the provided cable causes the camera to trigger (reference TYPICAL EXTERNAL TRIGGER CIRCUIT for further details). The ADC may also be triggered in a variety of other ways - see below. 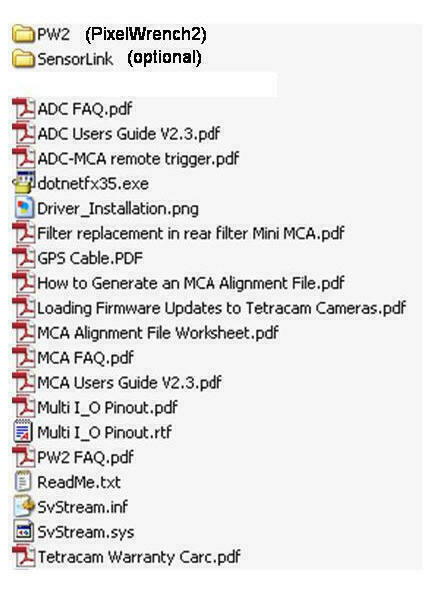 Check out the User Manual below for precise descriptions of the system menus and all other controls and connections in the ADC. Shutter Release: The button atop the ADC acts as a shutter release for the camera. Depressing the button triggers the camera to take a picture. Auto-Timer (Continuous Capture Mode): The ADC may be configured to capture images continuously at intervals specified by the user via the camera's system menus. Press the Shutter Release or trigger the camera via one of the methods below to begin continuously capturing images. Press the Shutter Release or trigger the camera again to stop continuous capture of images. Always stop continuously capturing images by pressing the Shutter Release or via a trigger command prior to powering the camera off. Interruption of power during continuous capture of images may damage the camera. Optional Remote Shutter Release: Closing the connection between the RING and the TIP on an optional External Trigger Cable causes the camera to trigger (reference TYPICAL EXTERNAL TRIGGER CIRCUIT for further details). 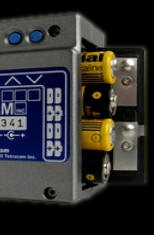 RS-232 Triggering: The camera may be commanded to trigger by receiving an <ESC> T command via its RS232 serial interface. Due to the delays incumbent in a serial link, the RS232 link is more commonly used to transfer GPS position coordinates to the camera at camera trigger time. 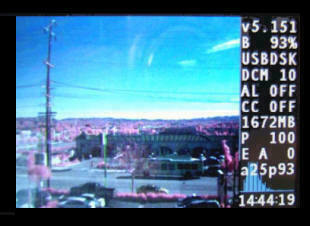 When the camera is connected to a GPS receiver via its RS232 link, the camera records the coordinates of the location at which each image is captured into its log file upon receiving any camera trigger command. Image storage to Compact Flash memory cards in Tetracam 10 bit DCM lossless, 8 bit RAW, and 10 bit RAW formats. CS lens mount system compatible with thousands of available lenses. Battery - (8) AA size batteries. External Trigger, USB, Multi-IO connector (built into shutter release). 12 oz. (340 gr.) without internal batteries. 18 oz. (520 gr.) with alkaline AA batteries. Standard 1/4-20 tripod socket, centered under lens.